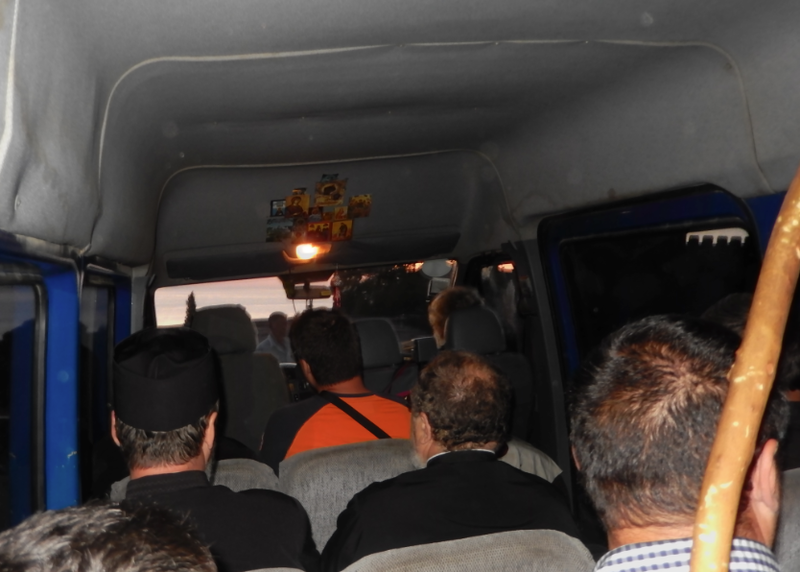 Before dawn we sat in a small bus, in front of Lavra. It could seat probably 10 men. The vehicle was fully packed. Mainly Romanian churchmen, all very well dressed in impeccable clean robes, shampooed hair, well-trimmed beards and odors like aftershave. Not at all like the ordinary monks. When the driver started the ride on a very bumpy and edgy dirt road (mountain on the left, cliffs on the right, no protection) they started to sing softly. They sounded like voices from heaven. The sun rose during the singing. We all felt protected. This bus wouldn’t end up in a ravine. Suddenly the bus took an unexpected left turn. 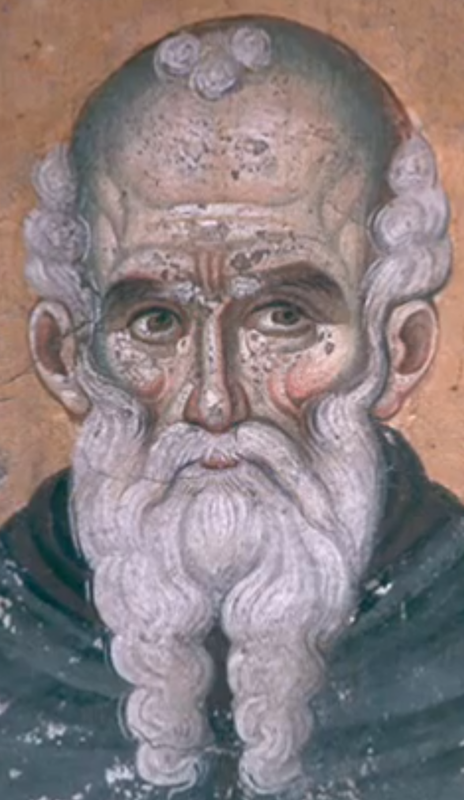 It took a detour to the source of Athanasius. 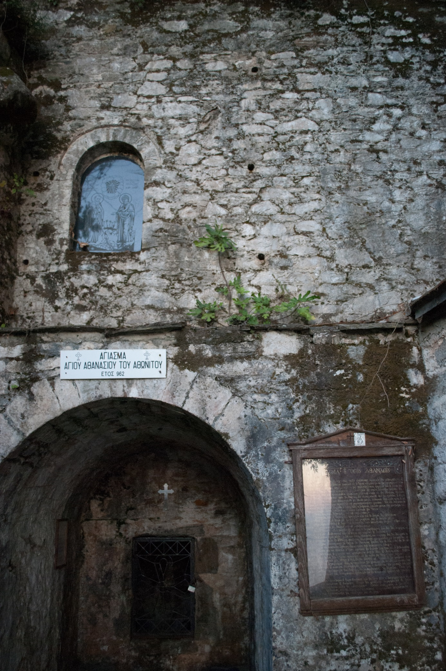 Everybody got out enthusiastically and filled all the bottles they had with fresh holy water from the source. There was plenty for everybody. See post 1387 for more information about the source. The place where the source waters come out of the mountain. Since 962. Since the founder of Lavra, and indeed the founder of the Holy Mountain, discovered this source. 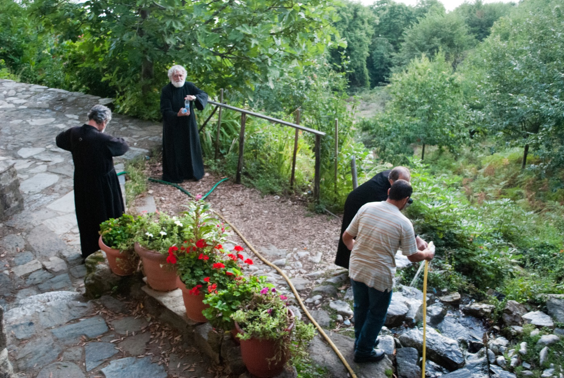 On the picture: Some of the Romanians taking their holy waters from the hose directly connected to the source. This entry was posted in people and tagged Athanasius, Romania. Bookmark the permalink.